The US Government's track record in the War Against Drugs has not been wholly consistent. 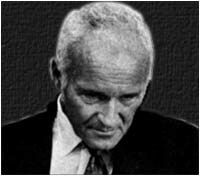 Sidney Gottlieb (1918-1999), pictured above, was director from 1953 to 1964 of the MK-ULTRA Project. MK-ULTRA was a secret CIA-run Chemical and Biological Warfare program created at the height of the Cold War. Its purpose was the development of chemical techniques of brainwashing, espionage and mind control. "... among themselves to slip LSD into each other's drinks. The target never knew when his turn would come, but as soon as the drug was ingested a ... colleague would tell him so he could make the necessary preparations (which usually meant taking the rest of the day off). Initially the leaders of MK-ULTRA restricted the surprise acid tests to [their own] members, but when this phase had run its course they started dosing other Agency personnel who had never tripped before. Nearly everyone was fair game, and surprise acid trips became something of an occupational hazard among CIA operatives.... The Office of Security felt that [MK-ULTRA] should have exercised better judgment in dealing with such a powerful and dangerous chemical. The straw that broke the camel's back came when a Security informant got wind of a plan by a few [MK-ULTRA] jokers to put LSD in the punch served at the annual CIA Christmas office party ... a Security memo writer... concluded indignantly and unequivocally that he did 'not recommend testing in the Christmas punch bowls usually present at the Christmas office parties.'" Later LSD trials used prisoners, mental patients and prostitutes as subjects. Dr Gottlieb was reputedly the inspiration behind Dr Strangelove [played by Peter Sellers] in Stanley Kubrik's satirical masterpiece of 1964. Dr Gottlieb's colleague, chief officer of the Army Chemical Corps Major General William Creasy, saw wider opportunities for the use of mind-altering drugs. He advocated lacing the water supplies of "enemy" cities with LSD or similar agents as a "humane" alternative to incinerating their inhabitants with thermonuclear weapons. "I was attempting to put on, with a good cover story....to test to see what would happen in subways, for example, when a cloud was laid down on a city. It was denied on reasons that always seemed a little absurd to me." One aim of MK-ULTRA was to develop a so-called truth-serum. Accordingly, various substances were investigated by the CIA as potential "truth drugs". As it happened, 3,4-methylenedioxymethamphetamine - then known as EA-1475, now better known as Ecstasy - was one of a number of agents undergoing testing at the US Army's Edgewood Arsenal in Maryland as part of the MK-ULTRA project. At Edgewood, MDMA was tested "only" on mice, rats, pigs, monkeys and dogs. It is now known from the results of uncontrolled field-studies that MDMA has a tendency to induce "inappropriate self-disclosure". If the MK-ULTRA experiments with MDMA had been conducted on humans, then MDMA might today be used for confessional purposes by military interrogators. At the time, however, no "animal models" of truth-telling or drug-induced emotional incontinence had been developed. So MDMA's potential usefulness to the security and intelligence services was overlooked.